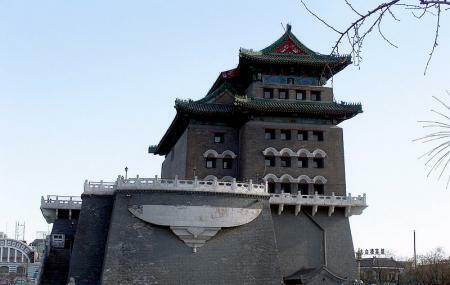 Zhengyang Gate is located on the south-north axis of Beijing and is south of the Tiananmen Square. Due to the toll of time and war, only the city tower and the embrasure watchtower are still standing. The city tower rests on a brick platform and takes up around 3047 metre square space. The tower is 36.7 meter wide, 16.5 meter deep and 27.3 meter high and sees a lot of tourists due to its picturesque architecture and design. Price mentioned is for adults. Take the subway from Qianmen. How popular is Zhengyang Gate? People normally club together Jindingxuan （ditan Branch） and Qian Men Da Jie while planning their visit to Zhengyang Gate.